One-piece, chemical-resistant aprons can be worn once and thrown away. Keep fresh aprons handy at all times with a convenient dispenser box that issues aprons one at a time. 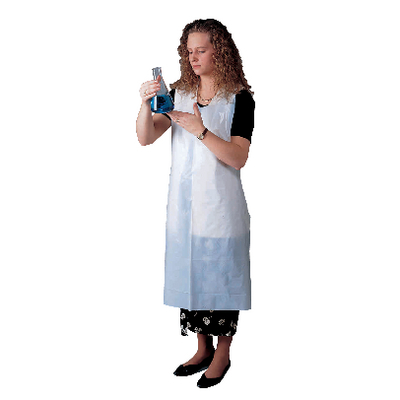 The one-piece apron design eliminates folds, hems, and seams that can trap bacteria or dirt. Packaging: One box contains 100 aprons.